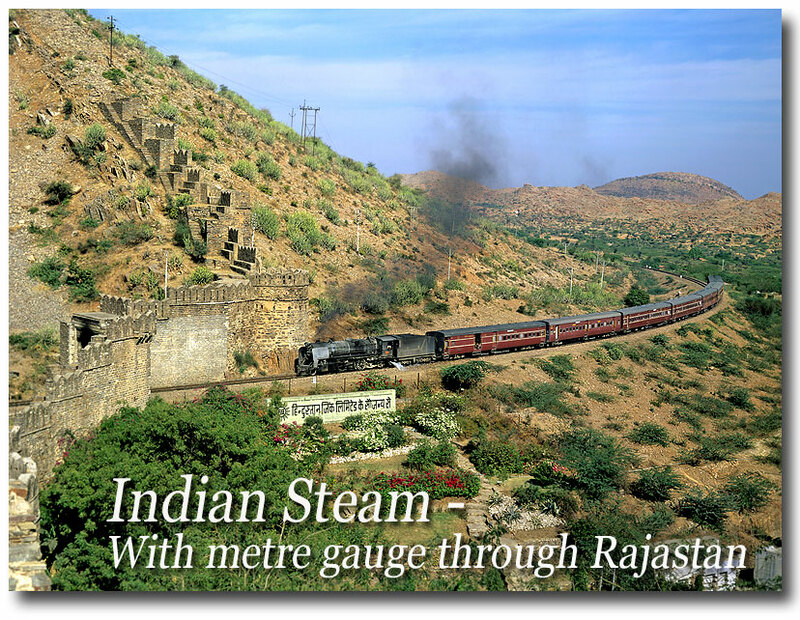 Most foreigners include Rajastan in their India - itenaries for its historic cities, forts and Maharaja palaces. 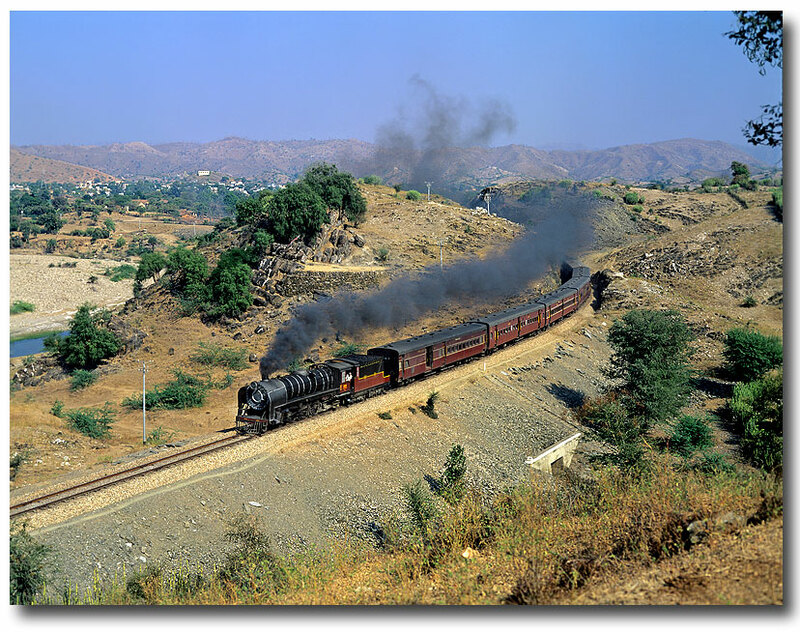 I went there for the pasengers trains on metre gauge, which were among the last ones on the Subcontinent that were steam operated in 1995/96. 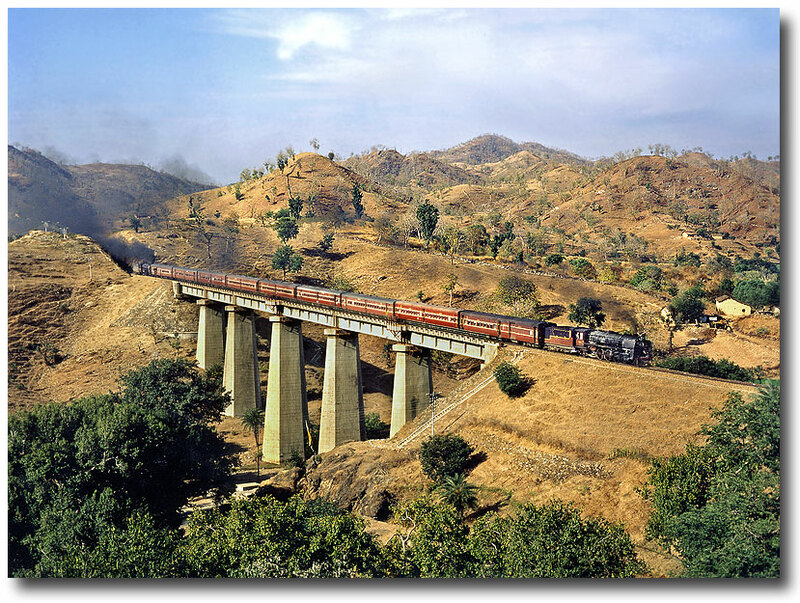 Above: Right in the outskirts of Udaipur, the line from Chittaugarh passed the famous Debari Gate. The City wall was originally erected in the 17th Century by Maharana Raj Singh to protect the city from hostile attacks. As a matter of fact, not even the British could get Udaipur and the surrounding area under their full control later during colonial times. Dec.1995. Thanks the delay of the Ahmedabad-Udaipur Night-Express, I was able to catch it near Zawar in the early morning light. According to the timetable, it should have passed hours earlier shortly after dawn. Dec.1995. 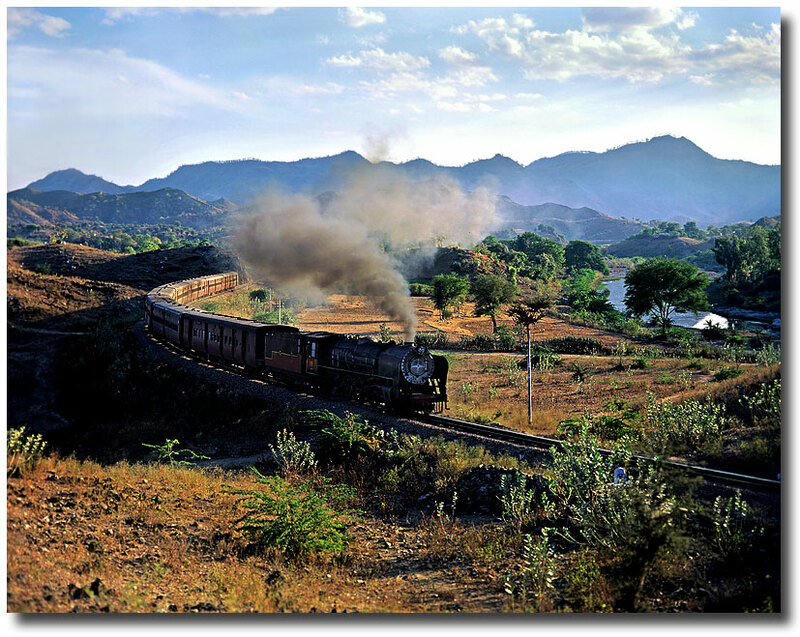 The Zawar-Udaipur ghat section featured the kind of rugged, stubby hills that have inspired painters in Rajastan for centuries. At Zawar, where the Passenger 85 just had left, a YG banker was attached at the rear end to assist the YP over the 1 in 60 grade. 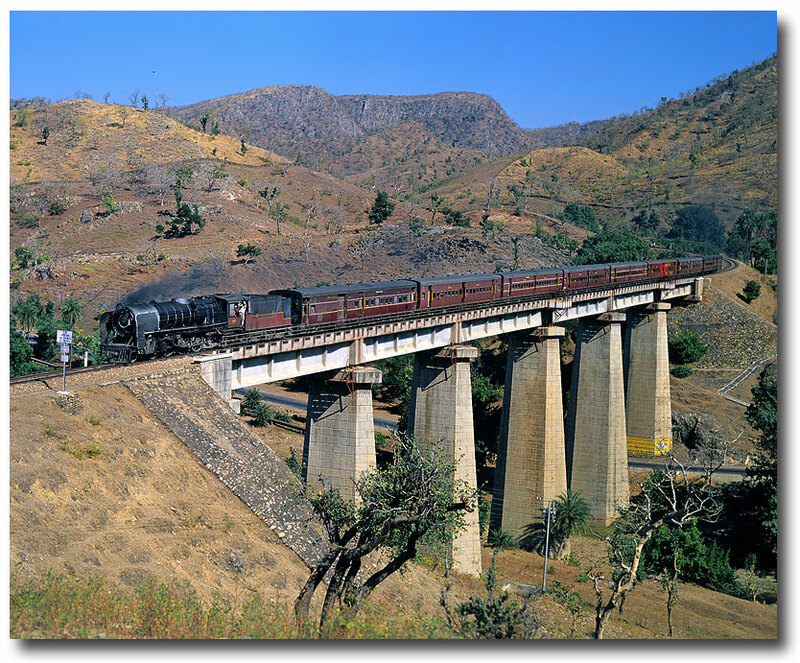 It wasn't until the late sixties, that this difficult line was finished with Chinese assistance, while the metre gauge steam engines of class YP and YG were built until 1972 in India. 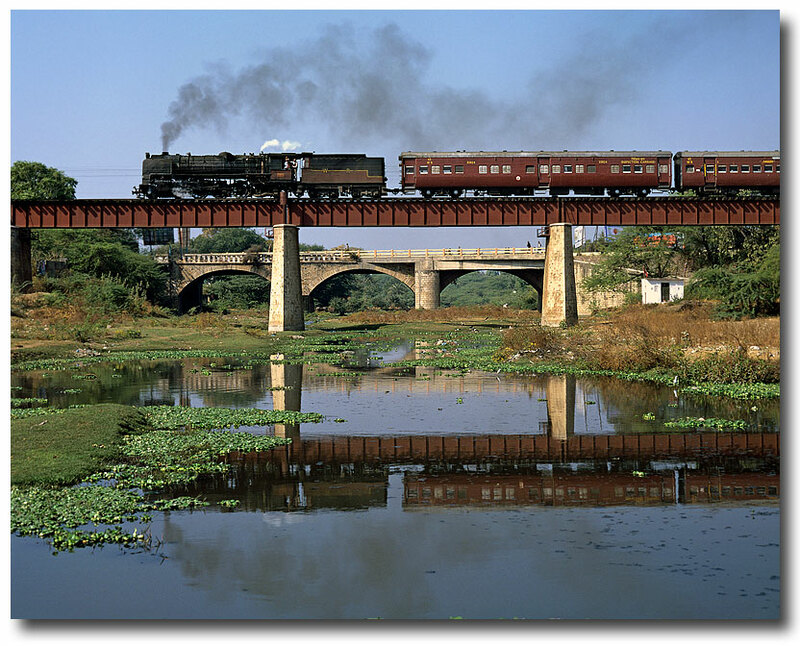 Some fair degree of good luck was needed to photograph the Ahmedabad-Udaipur Express at the Ord-Bridge, given the fact that according to schedule, it would have passed there in the early morning before sunrise. In reality, however, the train hardly ever was on time. Delays of one to eight hours were prevailing during my visit, making a good shots a matter of time an patience. 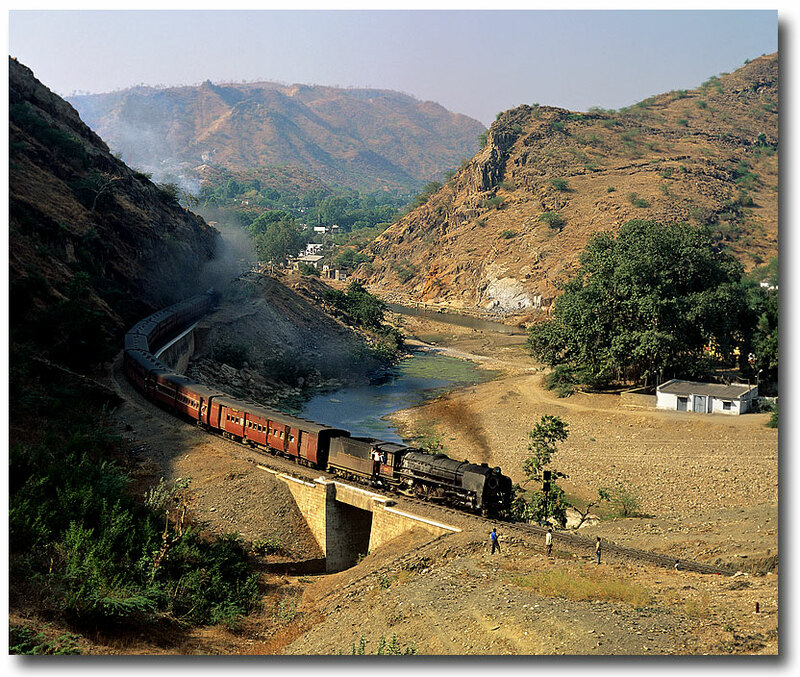 South of Zawar, the track followed a river valley, leaving the ghat section behind. Mewar-Passenger 86 with an immaculate YP headed towards Ahmedabad, still roughly 260km away from where this picture was taken. Even though maximum speed permitted was some 60km/h, it took the train about 10 hours to get to its destination, translating to an average speed of mere 26km per hour, the usual delays not included! Dec.1995.